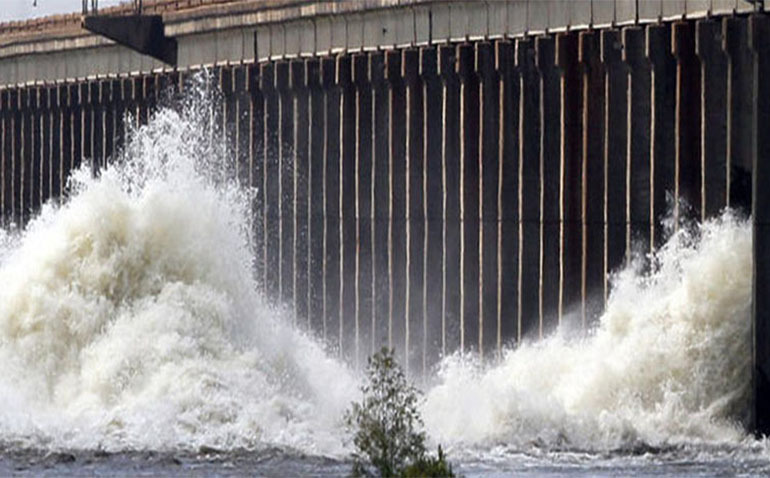 The Mississippi River crested over nine feet above flood stage at Natchez on March 17 — higher than the epic 1927 flood which put the US Army Corps of Engineers in the flood control business. The 2011 crest was even higher. Four of the five highest floods have happened since 2008. After some $14 billion of Corps flood control projects, the river has crested above flood stage eight of the last ten years vs. once every 6.5 years 1940 – 1972. Have flood control projects actually made flooding worse? Yes. Floods are higher, longer, and more frequent than ever. Despite the Corps’ Mississippi Rivers and Tributaries Project authorized in 1928. Which the Corps says has prevented a trillion dollars of flood damage from levee failures that haven’t happened. Levees contain the river. The Corps builds them higher and higher. So floods get higher too — and more dangerous. The higher and longer the flood, the greater the risk of levee failure. The most damaging levee failure could be between Natchez/Vidalia and Baton Rouge on the west bank. It could send the Mississippi River to the Gulf at Morgan City. The course change could be irreversible. Gravity makes water flow downhill and will ultimately cause the river to change course to this shorter, steeper route and quit flowing by New Orleans. The river mouth moves about every 800 years when the old channel gets higher, longer, and flatter from sediments deposited over time. It’s about time for a change. So, how could the Corps buy some time? It could send more flow to the Gulf at Morgan City and lower the river. A lower river would reduce the frequency, duration, and height of floods and risk of levee failure. But Congress said no to more flow 64 years ago. The Corps still follows that order. Madness. Flood control is often a zero-sum game. Someone floods more so someone else will flood less. Politics often trumps engineering. Political compromises or political power produce flood control projects that harm unsuspecting or unorganized victims downstream. Sometimes years later. Examples include the Eudora and Boeuf floodways that weren’t built. They were an essential part of the Corps master plan to shorten, straighten, and channelize the river to speed floods to the sea. They were supposed to discharge the faster flow. They weren’t built because of not-in-my-backyard politics in the mid 1930’s. So the faster flow takes longer to discharge now. And the river rises (10 feet higher at Natchez vs. 1972). And it floods more. Floods have been aggravated by years of development upriver that accelerate runoff. And by a slight increase (4%) in rainfall since 1950. And by Congress’s 1954 Flood Control Act (FCA) which ordered the Corps to maintain the river’s flows that existed in 1950. That’s like ordering the tides to stand still. And the river not to change. The Corps feared further increases would cause the Mississippi to change course down the Atchafalaya and leave New Orleans and Baton Rouge as dying cities on a salt water estuary. And leave the US without its busiest port and major water transportation network — and require massive infrastructure investment to reestablish river commerce at Morgan City. So Congress told the Corps to dam the natural channel and build the Old River Control Complex (ORCC) to prevent the course change. The ORCC was completed in 1964 and expanded later. It now controls the Mississippi’s discharge down the shorter steeper Atchafalaya to the Gulf at Morgan City. But the 1954 FCA still limits the discharge to 23% of the Mississippi’s flow. That’s not enough to keep the river from rising. The other 77% discharges at New Orleans via the longer, flatter old channel. It’ a bottleneck. The ORCC has excess capacity that could lower the river and reduce flooding. A Corps study showed that using just part of the excess would have reduced the 2016 crest at Baton Rouge by 8 feet. It would have also reduced the crest and flow at New Orleans. But the 1954 FCA prohibited its use. The 1928 FCA made the Corps open the Bonnet Carré spillway recently to discharge some of the 2018 flood into Lake Pontchartrain to protect New Orleans. The ORCC could discharge more water with less disruption. The 1934 FCA makes the Corps open the Morganza spillway to protect Baton Rouge. The ORCC could discharge more flow with less disruption. These old acts/orders limit the Corps’ options and effectiveness. They say: “Control floods, but don’t use your biggest gun (the ORCC).” Like: “Beat the Viet Cong, but don’t bomb Hanoi.” Madness. Congress’s archaic orders won’t let the Corps use the ORCC for flood control. Madness. The Mississippi could change course down the Atchafalaya as a result. It was maybe one weather front away two weeks ago. Why not lower the river and get some lagniappe when floods are coming?